The complex circuitry connecting the brain to important muscles in the body may hold the key to helping paralyzed patients get up and walk. Like, getting up and walking almost immediately. An international team of scientists, writing up their findings in the journal Nature, say implanting electrodes in a portion of the spine that hasn't been injured can reopen the pathway from the brain to leg muscles. They conducted experiments using two primates who had temporarily become paralyzed in one leg. After implanting the electrodes, the scientists say the monkeys could get up and start walking. They say such a remedy could be available for human use within a decade. 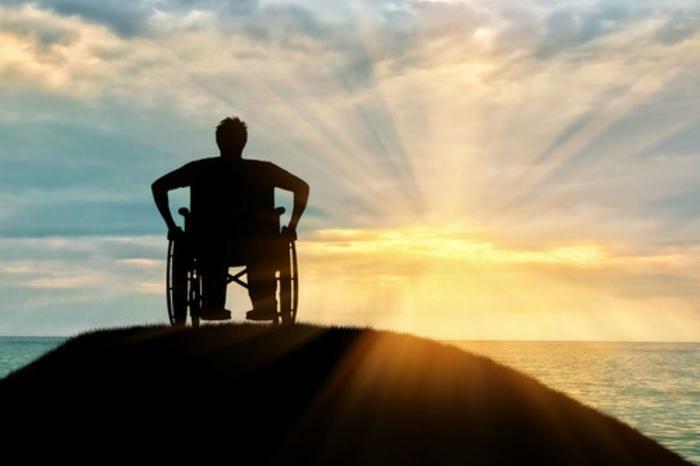 According to the Mayo Clinic Staff, a spinal cord injury often causes permanent changes to the body below the injury, creating a life-changing situation. Yet the Mayo doctors acknowledge that many researchers have long been optimistic that doctors would someday find a way to repair these injuries. People suffer spinal cord injuries in many ways. A number of these injuries have occurred during athletic competition. Others are the result of accidents. The severity can vary, based on the area of the spin that is injured. NIH points out that some patients recover from spinal injuries, but others don't. In the experiments on monkeys, the researchers say they were encouraged because the primates were able to get up and walk immediately after the implant, without having to go through any kind of physical retraining. There are actually two implantable devices that make the system work. One is implanted in the brain, the other in the spine. The devices then communicate wirelessly. In addition to helping paralyzed people walk again, the scientists say they may be able to use their discovery to regrow damaged circuits. But they concede the electrodes carry some limitations that require additional research.